You are at:Home»Reviews»Early Childhood Books»Rodney Loses It! Rodney is a rabbit who happens to love drawing with his favourite pen in the entire world, Penny. He draws every chance he gets, even when snoring. But one day disaster strikes and Rodney loses Penny. Rodney searches high and low, and everywhere for Penny, but he can’t find her, which is when he loses it and throws the most epic of tantrums until he does find Penny – on his desk. Rodney Loses It! is a fun book, with text from Michael Gerard Bauer that is perfect for a readalong with any young reader. His text is simple and rhymes, which adds to the atmosphere of Rodney losing it, and throwing a tantrum when he can’t find Penny. The illustrations by Chrissie Krebs are gloriously colourful and funny, in line with the fun text from Bauer. 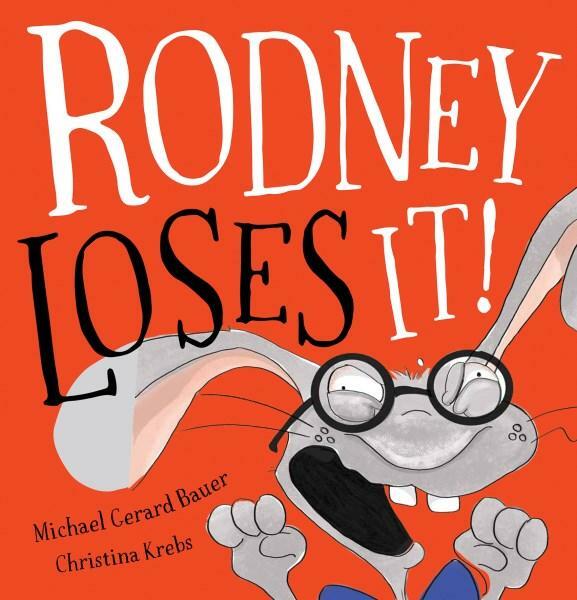 Rodney with his glasses, his floppy ears and his own artwork are sure to be a hit with any young reader still learning the fun of reading and rhyming.